1. 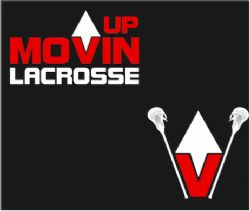 If you coach a LAX Club team or camp and would like to be listed here, please email the Webmaster. Founded in 2014 by professional lacrosse players, Lacrosse Force LLC was created to help players maximize talent on and off the field. After 20 plus years in a culture that is often misunderstood, we set out to make known the truths and positives in the sport of lacrosse. Lacrosse Force was established to create positive impact on young athletes lives through our great sport. Our girls program will offer quality coaching and development for girls through travel teams, leagues, camps, and clinics. As a part of Lacrosse Force, the main focus is to provide an opportunity for girls to learn the skills and lacrosse IQ necessary to compete at a higher level. CEO and CoFounder, Max Schmidt, stated he is looking forward to growing the girls lacrosse game in the West." Las Vegas hometown, veteran, and top recruited girls lacrosse travel club team, REBEL Lacrosse, will be back at it this summer with high school and middle school travel teams! Both programs will be traveling to the top west coast recruiting tournaments offered, including Summer Storm (CA) and Western Cup (CO). The mission of ThreePeat Lacrosse is to promote the sport of lacrosse to youth in our community, increase general knowledge of the game, recognize and develop the athletic potential of all participants, teach and adhere to the age-appropriate national rules of the game in a safe, positive and fun-filled environment, while building character in each athlete, highlighting the importance of exemplary sportsmanship.